On Wednesday 12 November the winners of the second edition of the Multimedia Competition Secure Your Future were announced. 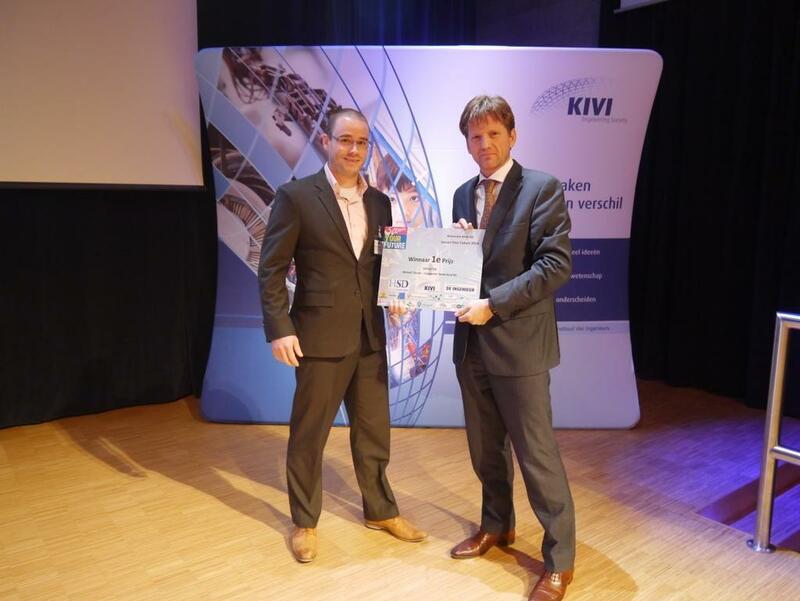 Pieter-Christiaan van Oranje-Nassau presented the winners during the KIVI year congress. 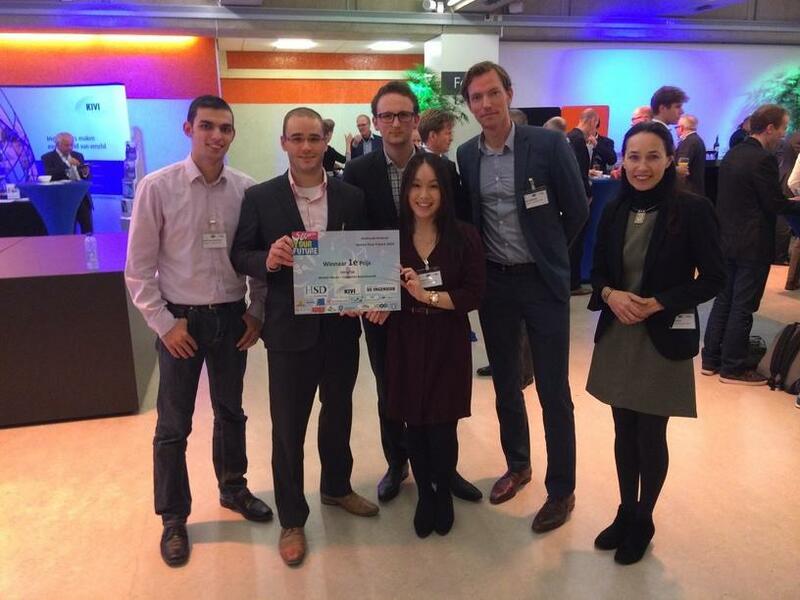 The winner of the competition, Michail Theuns and his team from Capgemini Netherlands, received €750,- plus professional guidance for further developing their idea for the UitOpTijd (OutOnTime) application. Aart Berkhout and Maarten de Winter won the second price of €350,- with their idea for a Crowd-Connect Messenger. Secure Your Future is an initiative of The Hague Security Delta together with technology magazine De Ingenieur and the Royal Institute for Engineers KIVI. This year participants were asked to come up with ideas for a multimedia application that contributes to the security of the city. The competition aims to involve students and entrepreneurs with the security sector, to promote career opportunities and to increase the number of start-ups, innovations, and innovative services in the security sector. The UitOpTijd app provides individualised and dynamic information to users about the route to their destination in order to arrive faster and easier at the location of an event. Depending on traffic, the app advices users on the best route to their destination, parking, and departure times. The application makes it possible for organisers to better channel traffic going to and from their events. The jury believes the idea for the app is innovative and could add significant value to municipalities, organisers and visitors of events. The Crowd-Connect Messenger uses ad-hoc WiFi connections as an alternative connection route when cellular networks are overloaded. By using the Crowd-Connect Messenger people can still be reached in case of an emergency. The technology used for the Crowd-Connect Messenger is available in every smart phone, but is hardly used. For more information about the Secure Your Future Multimedia Competition click here.